WLIA WILL BE STAGED AT THE BOAT RAMP AT THE CAUSEWAY. GLOVES,BAGS AND T-SHIRTS WILL BE AVAILABLE AT THIS LOCATION..AND THE DUMPSTER WILL BE THERE AS WELL. 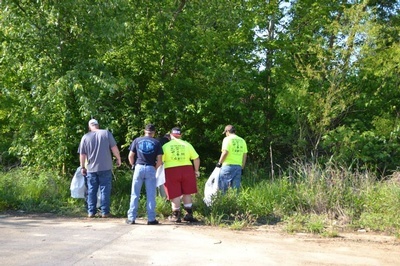 EVERYONE PUT TOGETHER A GROUP FROM CHURCH,CLUB OR AS A INDIVIDUAL AND SELECT A LOCATION TO CLEAN UP. LETS MAKE THIS THE BIGGEST CLEANUP YET! KEEP OUR COUNTY AND LAKE BEAUTIFUL. T-Shirt bags and gloves available beginning at 8am. Pick up trash anywhere around the shoreline of Weiss Lake. Bring your trash back - DUMPSTER on site. FREE Hotdogs and drinks at 12 noon. WLIA members will be present if you have questions.